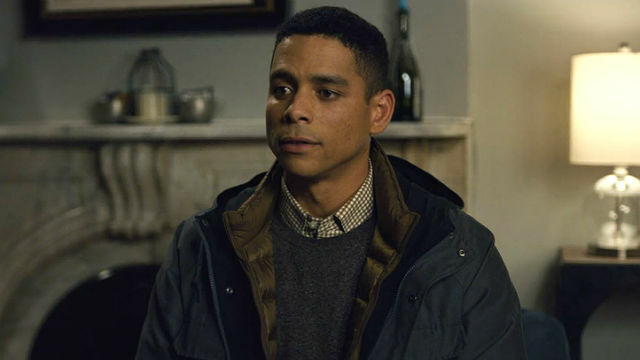 In the previous episode of Netflix’s Russian Doll, Nadia encountered a man in an elevator, who was stuck in his own loop. 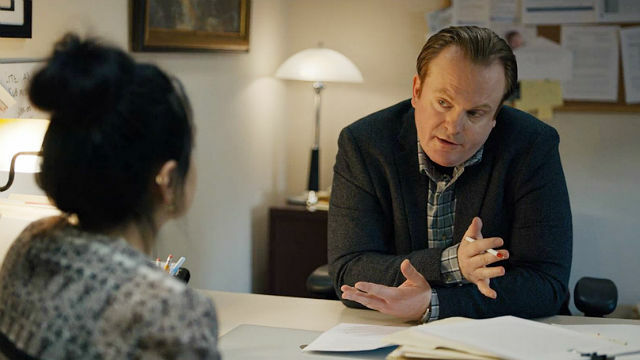 In Russian Doll season 1 episode 1, we followed Alan, the man in the elevator, and how meeting Nadia shook up his routine. Alan began his loop in front of a bathroom mirror, like Nadia. At his apartment, he unpacked his clothes from a neat suitcase while listening to affirmations. Alan fed his fish, Boba Fett, and carefully timed his exit from the building. He walked by Nadia while she searched for Horse. Alan arrived at his girlfriend’s apartment. Beatrice broke up with him before their vacation. He’d gotten an engagement ring to propose. He went home to play video games, binge eat, and drink all night. The next day, Alan paid his neighbor, Audrey, who was supposed to feed his fish, while on his way to meet Ferran. Afterwards, he went to see his mother, Dr. Zaveri, at her medical office. Alan told her he’d proposed but lied about Beatrice’s answer. He left and got in the elevator with Nadia, and they plunged to their deaths. From when Alan came to in front of the mirror, his encounter with Nadia distracted with him. At Beatrice’s, something new happened. She admitted to cheating on him with her professor, the Gingerbread Man. The next day, Alan told Ferran that Beatrice had cheated. Ferran admitted to never liking Beatrice. He explained that he and his girlfriend, Sheree, saw a couple’s therapist after she cheated on him. Ferran told Alan he should consider seeing a therapist. Alan went to the Gingerbread Man’s office, and he turned out to be Mike from Nadia’s first night. After Alan attacked him, Mike told him that Beatrice was unhappy in their relationship. That night, where Nadia had fallen into the water, a loose cable electrocuted Alan. When he woke up, he put on a different shirt, threw around the clothes in his suitcase, and noticed that the ring was missing from the box. However, he didn’t notice that Boba Fett was also missing. Nadia had noticed the ring box Alan held in the elevator. She went to the store where he got the engagement ring from and lied to get his name. The clerk didn’t buy it, but Nadia found him on Yelp anyway. She found his building, but when she tried to talk Audrey into letting her in, she shut the door on Nadia and flipped her off. Finally, Alan arrived. While Nadia was excited to have another clue, her presence distressed Alan. He blamed her for finding out about the cheating. She told him to come to her party to talk next time. 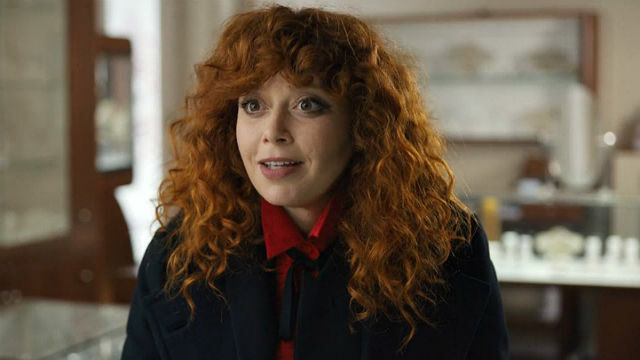 The post Russian Doll Season 1 Episode 4 Recap appeared first on ComingSoon.net.